Feedback is discussed in medical education circles often, especially with respect to medical students and residents as we mold ourselves into the physicians we are destined to become. Who best to give us feedback than our attendings who work with us on a day to day basis? At my recent residency retreat my classmates and I spent time talking about feedback and what we wished our feedback from attendings to look like. Themes such as actionable, timely and consistent were brought up often during the discussion. One thing that was not, however, was the content of feedback. Is all feedback valuable? Do biases pervade into feedback? A multitude of data exist showing that male and female physicians are perceived differently in medicine, as in society. 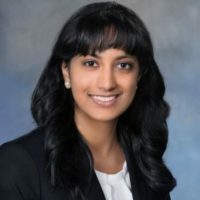 One recent article showed that there are significant differences in how female EM residents are evaluated quantitatively in terms of ACGME Milestone Achievement. A new study published in the Journal of Graduate Medical Education takes this one step further and investigated the differences in qualitative feedback given to male and female PGY3 residents by attendings. 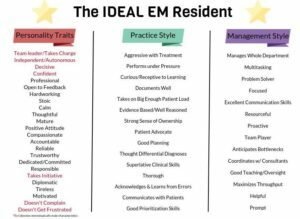 First, ideal characteristics of EM residents were derived from the comments, and then divided into those that focused on personality, practice style and management style. Those personality characteristics which studies have shown are stereotypically male are highlighted in red below. Comments were then subdivided into those that gave strong criticism, strong praise, possession of personality traits and lack of personality traits. 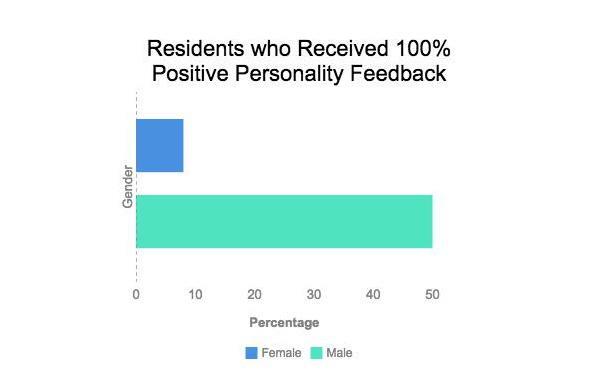 Feedback for females was often more discordant than that for males, with 62% of females receiving both positive and negative critiques of their overall performance, versus only 45% of males. When comparing the median number of comments within these four categories between male and female residents, the most striking difference lay in the number of comments regarding lack of personality traits: females received a median of 3 of 35 such comments, whereas males received 0.5 of 37. In fact, only 1 female resident received no negative feedback with respect to personality traits, compared to 50% of males. As a female emergency medicine resident, what do I take away from this article? First, that attendings do not perceive a difference in practice or management style between my male and female colleagues. I take seriously both the positive and the negative feedback I receive regarding my clinical competence and the way I manage the department. Where the differences do lie, however, are in the assessment of personality. 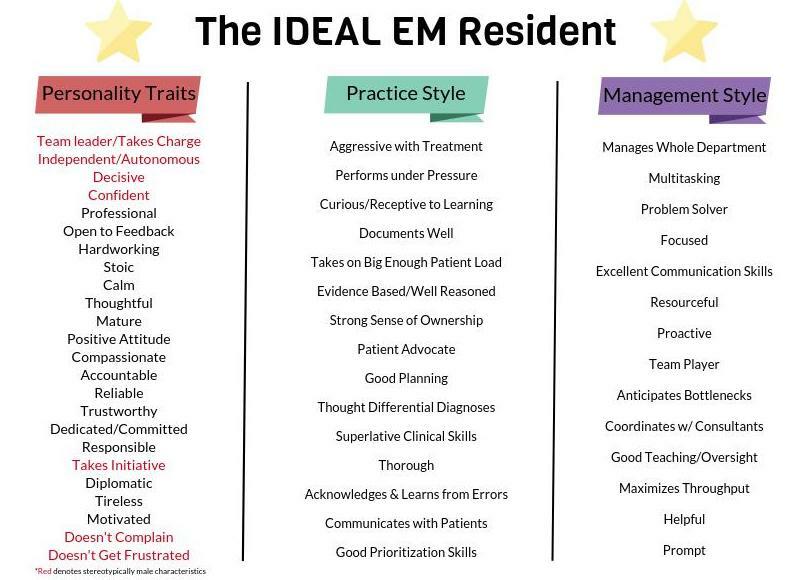 As I read the list of personality traits in the ‘ideal’ EM resident, I agree with all of them, and strive everyday to exemplify them all. There is a difference between being autonomous and being dangerous, between being confident and being cocky. Where a person falls in the spectrum, however, is open to interpretation. This is where implicit biases against females can be harmful. This article suggests that female residents are more often perceived to lack ‘ideal characteristics’ than our male colleagues. Perception, here, is the operative term. Feedback is all about how you are perceived by others. Some of the best advice I received from a senior resident has been to take all feedback graciously – then, go home, reflect on it, and ask yourself, honestly, does this make sense? Do I agree with this? Was I too argumentative in that situation, or not confident enough? Think of feedback not as a mandate, but as a tool for reflection. If you see value in a comment regarding your personality, take it to heart and make a change. If, given a choice, you would do the same thing tomorrow, then accept the feedback and move on. When I am unsure about my performance or about a particular piece of feedback I ask my trusted mentors to help me reflect. While we can imagine the ‘ideal’ EM resident and physician, the truth of the matter is that there is no one who is perfect in the eyes of all. When receiving feedback it is important to keep this in mind. On that note, there is important information in this article also for those giving feedback, namely that implicit biases impact perceptions of trainees. Awareness of these biases is the first step towards making change. Before giving feedback, consider whether you would have perceived a different resident any differently in the situation. Both giving and receiving feedback require a significant amount of reflection and thought. This article provides insight into how this is the case.